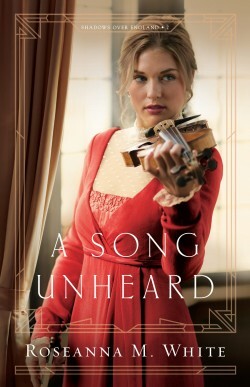 I’m so excited about the release of my newest book – a poignant clean romance that was a 4-tissue story for me! Her future wasn’t the only thing at stake. Annalee Chambers slipped into the bare consultation room with her mother, father, and attorney. Reporters filled the hallway and shouted questions as the door closed. She tugged at a stray blond curl the August breeze had pulled from her hair clip and sank into the wooden chair. If only invisibility were possible—a desire initiated when they’d arrived at the Frank Crowley Court Buildings, and cameras started flashing. Leaning against the high back of the seat, she stared at a ceiling fan making a slow rotation. For a solid minute, she matched her breathing to the fan’s rhythm. Annalee bristled at the insinuation. “Mr. Madison was the victim. He and his family are the ones impacted by the accident.” Accident. She hadn’t even realized she’d hit anyone. And Annalee had aided in the destruction of her father’s mayoral campaign when she traveled to club-row to pick up her tipsy friend. “We don’t have too much time to plan this defense.” Mr. Walbright bent his balding head over his briefcase. He unearthed a stack of legal-sized documents and came up for air. She caught her father’s disgusted glance. Poor Walbright. He probably hoped that his representing Annalee would pave the way for him to work at her father’s firm, but his lack of organization and planning for this case destroyed that dream in its infancy. “Giselle’s napkin.” She eyed her Versace bag, tempted to pull out her sketch pad and let this conversation fade from her mind. Friend. A Strange term to use for Giselle. The woman claimed she remembered nothing of her trip home—not blocking Annalee’s view or hysterical giggling or even slamming her foot on the gas pedal. And she hadn’t so much as called to wish Annalee luck in court. “If only you hadn’t gone to that club.” Mother stared at the ceiling. “I told Giselle to call me. She needed a safe trip home.” And the ride would have been safe if her friend had stayed on the passenger side of Annalee’s Mustang. The moment she crawled across the seat, Annalee should have pulled over. Better than being in the hospital if she’d attempted to drive herself home. Annalee focused on the heavy table in front of her. What unpronounceable combination of elements made up the super industrial-strength material? And where could she get some to help her through this next hour? Sharp heel clicks resounded in the hallway. The low rumble of voices gave way to a few raised ones, maybe questions being shouted but not distinguishable. The door opened. Annalee shielded her eyes against camera flashes. Several of the reporters called out, but she ignored them. Her tall, elegant sister shut the door and tugged sunglasses from her face. “The people are crazy out there.” As a well-known model, Ramona Chambers knew what crazy looked like. “Another reason why the judge will throw this whole thing out.” Her mother stood as tall as her daughter, though her hair was short-cut and silvery instead of the perfect long waves that Ramona enjoyed. “You’d better worry about what happens to your father and his campaign if Judge Vaught doesn’t.” Mother withdrew a lipstick from her purse and applied the pinkish tone. “Where did you get all of that hogwash?” Her sister pulled the wispy scarf from around her head and tucked it into her bag. “Well, you’ve got me there. Must be true.” Ramona chuckled. “But if there is a case …” Father stood. “If Judge Vaught accepts the DA’s charges, which she won’t, I’ll make sure the delays extend well past the election. After November, DA Barrett may lose interest when his man is no longer in office.” Walbright chuckled and led Mother to a back door leading to the courtroom. Fine? 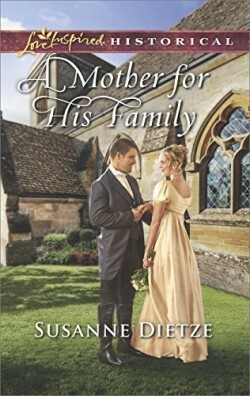 Maybe for her family, but the Madisons would see nothing fine about Mr. Walbright’s scenario. He ushered her in front of him through the door. She followed her attorney to a small table on one side of a wooden rail while the rest of her family sat behind the divider. The slender judge climbed to her place as everyone stood. She took her seat in a cascade of black robes. In this heat? No wonder the woman’s gray-brown bangs stuck to her forehead. Annalee rose, every eye watching like an audience at an open-heart surgery. She lowered her chin but glanced at the judge. The robed woman there gave her a lingering perusal. “Straighten up.” Her mother’s whisper brought reality to the situation. Annalee relaxed her shoulders and lifted her face. She hadn’t considered the possibility of jail time. The thought chilled her. Maybe Walbright’s ideas were best after all. Annalee stole a look at her attorney. Why didn’t he say anything? “Just say not guilty,” he whispered. What? She had to talk in front of this whole roomful of people? Wait … she was the one to declare her plea? A low rumble resonated over the room. The judge tapped her pen against a wood block. “Quiet, please.” She arched her unibrow in Annalee’s direction. “Miss Chambers?” The jerk of her head made her wispy bouffant teeter. “Guilty.” Annalee’s answer came out in a conversational tone, as though she commented on the weather. The room erupted with urgent voices. Annalee clamped her jaw tight. Her announcement would have repercussions of storm-like proportions. Mother exclaimed and leaned over the bar, hissing instructions. Ramona joined her, though slightly more composed. Mr. Walbright called for the judge to give him a few minutes alone with his client. Father stared at his hands on his knees. Annalee hated betraying him, but the mayoral race wasn’t life or death. Annalee shook her head and lifted her chin higher. “No, I’m not.” She dug her nails into her palms but kept her voice steady and strong. 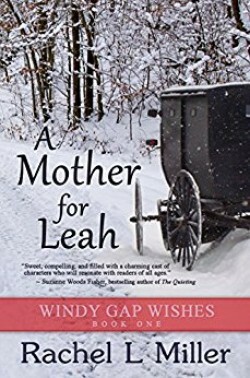 “You have five while I consider the matter.” The judge held up her hand as Walbright shoved Annalee back through the side door and shut it behind him. “What were you thinking, Annalee?” The man mouthed her mother’s words like a ventriloquist dummy. The thought caught her off guard for a moment, but she clasped her hands in front of her and straightened her shoulders. “I told you I didn’t want the Madison family to bear the financial burden of the accident. Then you and Mother and Father decided their needs didn’t matter.” She turned toward the window. She whirled on him. “Who else should?” If her father’s money was the only valuable thing about her, then at the very least, she could support those poor people. “But I could have gotten you off. You would have walked away.” He lifted both fists and turned toward the doorway, probably plotting his escape? “Mr. Madison can’t walk. At least not for a couple of months while he heals.” Surely, Mr. Walbright could tell the difference between winning and stepping on people. Not until the judge mentioned it, but by then, Annalee had already made her decision. She crossed her arms. “It’s your job to see I don’t. Your magical defense?” She eased the sarcasm out of her voice. No need to further rile the man. CJ Whelan approached the expansive doors of the Preston Park Country Club. Hand-carved wood, wrought-iron handles, and lead-crystal insets proclaimed their value in a dignified tone. He jerked one of them opened and passed through the portal from normal life to luxury. “May I help you?” The host’s tuxedo seemed too formal for such an early hour and way too hot for the Texas heat wave going on outside. “I’m here to see Scott Whelan.” His dad had insisted he attend the Intercede Foundation’s board meeting. Everything in CJ wanted to rebel or at least, find a plausible excuse. But when he’d blown off last month’s meeting, they’d cut some of the funding for the program he directed. This time, he’d spent almost an hour talking to God about the situation before he arrived. Dad didn’t understand the importance of the program. Or maybe he only cared about getting his way. The man behind the concierge counter dipped his gaze toward CJ’s sneakers and back up across his blue jeans and shirt. “I beg your pardon. Mr. Whelan is in the formal dining room.” He emphasized formal. What was his problem? CJ wore a button-down shirt over his tee. In this August blast, that took effort and dedication. “And?” He lifted his chin and nailed the host with steady eyes. “So, I’m not on dear Daddy’s list?” CJ collected the card and stuffed his wallet into his back pocket. “This way.” The man’s face had reddened from his ears forward. The worker slunk away and left CJ scanning the six faces around the table. His dad had his head buried in a deep discussion with two men on his left. Leon sat beside him with Davis one seat down. On his right, Mr. Simons had his arms crossed and lips pressed together. Next to him, the only woman in the group, Delfia Moncrief, matched his body language, only adding furrowed eyebrows. A large balding man, Arthur Bench completed the circle. The grimace he wore, along with his hand on his swollen belly, looked more like gas than disagreement. “And I didn’t agree with that motion, either.” The woman pointed a slender finger toward Dad. With every seat occupied, CJ pulled a chair over from a neighboring table. Dear old dad hadn’t truly expected him. Fancy that. Dad straightened. “We can’t expect you to come in mid-discussion and understand what all is going on.” He tapped the table in front of Leon. “I second.” Charles Davis puffed out his chest with the announcement. “Well, I don’t. I want to discuss this now.” Mrs. Moncrief patted the surface of the shiny wooden table. You go, Mrs. M. CJ studied his father. The man’s lips curled up a bit, and he acknowledged Mrs. Moncrief through half-closed eyes. He held the influence, and he knew it. “Let’s keep moving.” Arthur Bench popped a couple of Tums from a small bottle and leaned on his elbows. How had this group ever made any decisions? “Where are you planning to move the center if you end up selling the Haskell house?” He didn’t care what Davis and Leon declared. Dad was the puppet master, again attempting to direct CJ’s life for him. Dad stiffened at the mention of Mom. “I love the idea.” Simons tapped the table. “You’re getting ahead of yourself, Carlton.” Dad’s gaze, no longer under the comfortable half-lids, pierced him with warning. The others chimed in and a rumble of discussion overwhelmed the table. Dad’s composure slipped. “No one said we were selling.” A red blotch grew above his proper business shirt. “I second the motion.” Mr. Simons slapped the table again. “That wasn’t a motion.” His dad pulled at his collar. “None opposed. The ayes have it.” Mrs. Moncrief let out a tiny giggle, girlish despite her sixty-some-odd years. Bench and Simons joined in her laughter. Davis and Leon looked confused. “What business dealings? One’s a dentist and the other’s a day-trader.” And neither of them could claim quiet offices if CJ’s visits were any indication. “But they can complain to the city planning and zoning committee.” Leon agreed with Dad. Small wonder there. “Yes, and the committee can remove the center’s license, making the entire foundation look bad.” Davis’s comment only confirmed CJ’s opinion that he was indeed a shadow of Leon and not a separate man at all. “Still, you can’t force the children to stay indoors all day. That’s not healthy.” Mrs. Moncrief’s argument brought mumbles of agreement from the other two men. “You seem to have a standoff, Dad.” CJ gripped the edge of the table. “Maybe you should postpone this discussion, too, until someone actually makes a formal complaint against the center.” Which would never come. “Second.” Simons raised his hand as the rest of the attendees mumbled. “I think we’re on the right course, Scott.” Mr. Simons shoved against the table to stand. Bench engaged him in conversation as they walked out together. “Well, if we’re done here, I have an appointment.” Leon didn’t look at Dad. “Good-bye, all.” Davis followed him out without a word. What sort of invisible adhesive did those men use to be so synchronized? Dad’s eyes hadn’t strayed from CJ’s face. Dad exited the dining room without a backward glance. CJ resisted the smile wanting to spread. This win was only round one. Categories: Books, Marji Laine | Tags: Christian Romance, clean romance Marji Laine, COUNTER POINT, Faith Driven Fiction, free novel, new release, Write Integrity Press | Permalink. And I’m so excited that my book is among them! Check out the third one down! Squee! Categories: Marji Laine | Tags: 2018, American Christian Fiction Writers, Barbour, Bethany House, Christian Books, Contemporary Romance, Harlequin, Harper Collins, January, new release, reading list, Write Integrity Press | Permalink. … share all of the new releases for September, but not only did time get late, I have too many other things to share to squeeze that data in! Maybe later? Dani Foster has spent the better part of the last year in witness protection, seeking security against a dangerous man in her past. Even behind bars, he had wielded power enough to have her killed—if he could’ve found her. But now he’s escaped, and everything has changed. No longer can she live in a semblance of normalcy. Her survival depends on her acting talent, the masks she wears, and the hated lies she must continue to tell. Neither does she have any expectation of freedom from her masquerade. And no longer can she have any contact with anyone she’s left behind: not in Sacramento, and not in Dallas. Jay Hunter is sure that, despite the secrets Dani hid, she is the woman with whom he wants to spend his life. Yet on the verge of him actually proposing, her past creeps in. Strangers shouting in a nearby parking lot spook Dani into an all-out flight. Jay’s determined to protect her, until she climbs into the car of another stranger, then tells Jay goodbye. With a permanent sound to the word. Is it any wonder that the dangerous man, intent on killing Dani himself, would use her affection for Jay to his benefit? A shooter targets Dallas police, sending Dani into panic and giving the dangerous man exactly what he wants. Enough contact with her past to determine her present proximity. But Jay has been alerted to her contact as well. 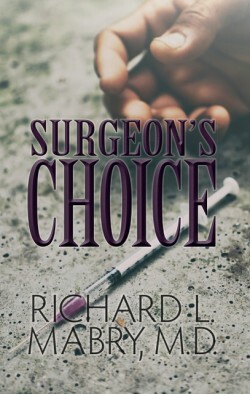 Can he locate her, forgetting the pain of her rejection, in time to save her life? Categories: 5 Grime & Punishment, Books, Marji Laine | Tags: Clean romance, crime drama, Faith Driven Fiction, Grime Fighter series, gripping suspense, Marji Laine, new release, witness protection | Permalink. This month has some riveting reads! 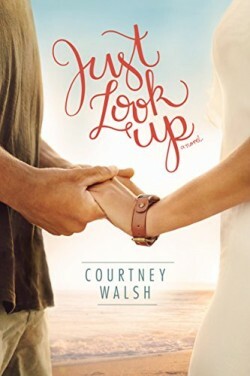 Categories: Books, Write Integrity Press | Tags: Action/Adventure, August books, Christian Fiction, Elizabeth Noyes, Faith Driven Fiction, Imperfect Lies, Lynette Eason, Marji Laine, New Releases, Romantic Suspense | Permalink. I’m so excited to introduce FAUX PAS, the latest release from Write Integrity Press. This is a hysterical contemporary full of mystery and a collection of quirky characters that will have you laughing out loud! Order the e-book before it’s release on July 4th, and enjoy a 40% discount! Here’s the LINK. Here are other new releases for this month. More in-depth descriptions of these books can be found on the ACFW Fiction Finder website. Categories: Books, Marji Laine | Tags: Christian Fiction, New Releases | Permalink. Such a blast – it was hard, even for me to put words to the awe-inspiring spectacle that was the rugged creation of our 49th state. We started in Seattle, Washington on a simply gorgeous, blue-sky day. I’m thinking the stories they tell about the rain are merely to keep the rest of the country away from their little piece of paradise! After a rocky, windy period at sea, we arrived at Ketchikan, Alaska on yet another sunshiny day! Got a sunburn on the water hunting signs of eagles and other wildlife! LOVED Ketchikan. 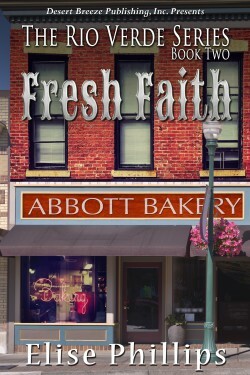 I wonder if that little town could use an author/publisher as a new community member? And this excursion was OUTSTANDING! All were good, but this was the best by far! Highly recommend this company! In Juneau, later that day, we went on a whale hunt, also spotting eagles and sea lions along with a lighthouse in the process of renovations. Good; it was pretty! Our guide said the sea lions were sure the Coast Guard had placed that buoy last some for their benefit and not because there’s a rocky point barely submerged at high tide. LOL! After our whale hunting, we got to view the Mendenhall Glacier and Angel Falls next to it. This photo was a little dark, but the falls are spectacular. And yes, those little specks at the bottom are people. Amazing, right? These falls come from another glacier, Suicide Glacier, that hangs over the Mendenhall Glacier on one side. It doesn’t have access to the water, so its river of ice merely melts into a cascade down the granite cliffs. The next day, we traveled to Skagway and took a train and a bus up into Canada. We crossed the border in the tundra (over the tree line) of British Columbia, then continued our trek into the gold territory of the Yukon. The tundra looked like a moonscape! In the running for the state bird. Are Alpaca normal Alaskan wildlife? These dogs were in training for the Iditarod. I did NOT expect to find a desert in the Yukon! Bridal Veil Falls. An appropriate choice for the celebration of the our 30th Anniversary. Our final port before returning to Seattle was Victoria, BC, but we enjoyed an evening of fine dining on board the ship. Categories: Fun, Marji Laine | Tags: Alaska cruise, British Columbia, Carcross, eagle watching, Endicott Arm, Juneau, Ketchikan, Princess Cruise, Seattle, Skagway, Victoria, Whale watching, Yukon | Permalink. Categories: Marji Laine | Permalink.